Clarity without sacrificing mobility. A tailored solution for comfortable and intuitive management of your business. 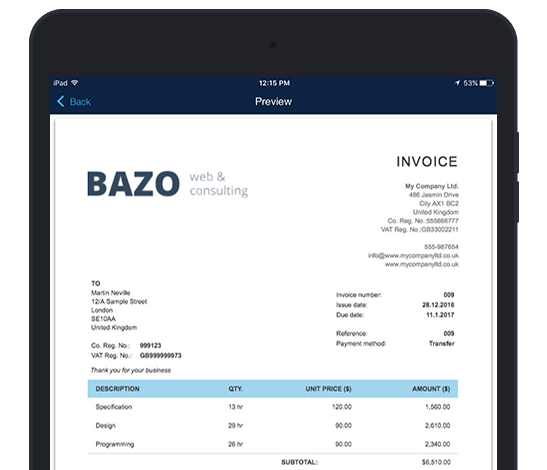 The iPad version of Billdu lets you create an invoice in just a few seconds. 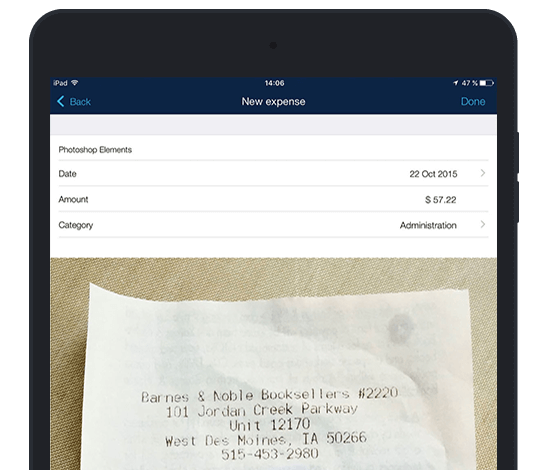 All invoices are from now on in your pocket. You can create your own client list, check the status of payments and keep up with your earnings through interactive charts and statistics. Issue invoices directly on-site, immediately after fulfilling an order. Create an eletronic PDF with one click and send it to your client straight away. If you have a printer with ePrint or Airprint on hand, you can easily print out your invoices as well. Are you often in the field, without an internet connection? Billdu has all the necessary data saved in your phone, and you can work with it fully, even when losing the signal. Next time the app connects to the internet, all newly issued documents will be synchronized to every other device, that you are currently using. Clean up your received documents. Save them in one place, so you do not lose a single one. 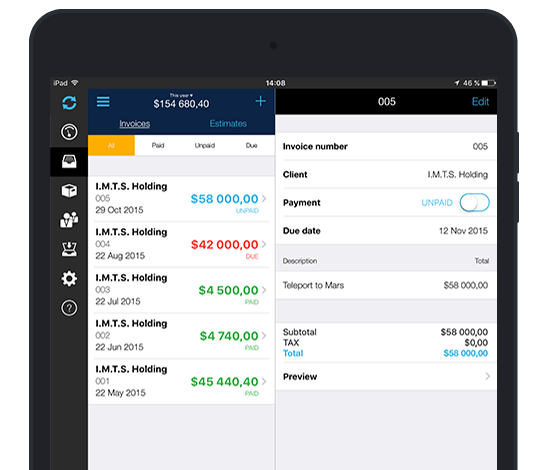 Billdu for the iPhone gives you the option of simple cost management. Take a picture of a received invoice or receipt, fill in the basic information and the document will register among your costs in the web application via the synchronization process. 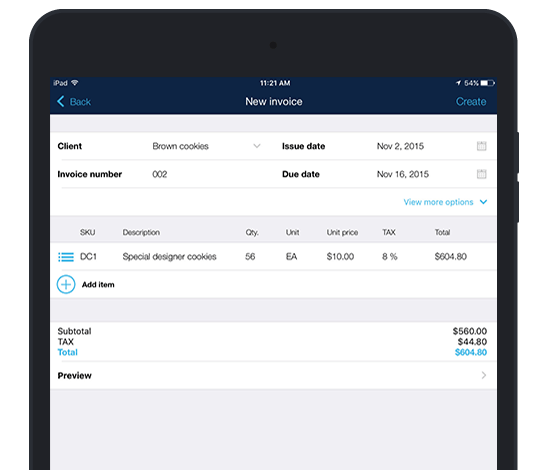 Why Choose Billdu Invoice App for iPad? Creating invoices in the Billdu iPad App enables you to achieve a high efficiency and invest the saved time in your business. 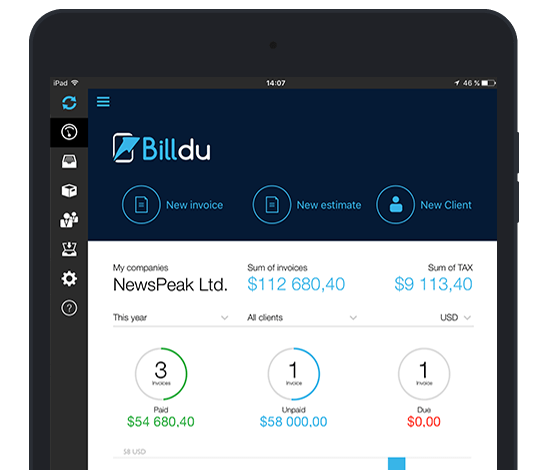 Billdu iPad invoice app and online dashboard offer the greatest comfort for operating and monitoring your business.